Microsoft has researched quantum computing for more than a decade. Now the company's goal is to put the theory to work and create actual hardware and software. To that effect, Microsoft has put Todd Holmdahl -- who was involved in the development of Kinect, HoloLens, and Xbox -- to lead the effort to create quantum hardware and software. The company has also hired four prominent university professors to contribute to the company's research. Quantum computers, in theory, can significantly outperform today's supercomputers. The ultimate goal is to create universal quantum computers that can run all existing programs and conduct a wide range of calculations, much like today's computers. Early quantum computers can be used to run only a limited number of applications. 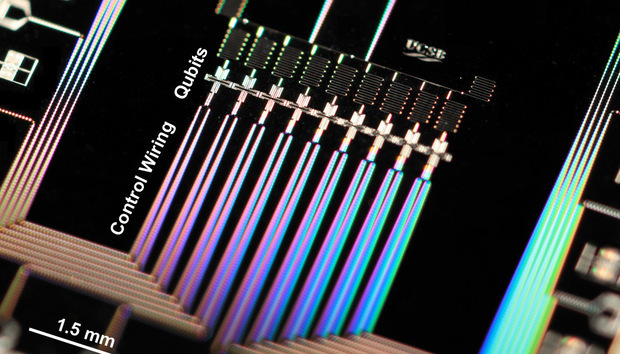 Companies like IBM, D-Wave, and Google are researching quantum computing. IBM researchers have said a universal quantum computer is still decades out, so their focus is on creating hardware targeted at solving specific problems. D-Wave and IBM have created quantum computers based on different theories, and the companies have bashed each other's designs. D-Wave is trying to get more programmers to test its hardware so it can be used for more applications. It's not known when Microsoft's quantum hardware will come out. Like others, Microsoft will have to make quantum circuits on which it can test applications and tackle issues like error correction, fault tolerance, and gating. Practical hardware will be released only after a number of quantum computing issues are resolved. But Microsoft is already offering a simulation of quantum computers via a software toolkit. Conventional computers represent data in the forms of 1s and 0s, but quantum computers are far more complex. At the center of quantum computers are qubits, which can harness the laws of quantum mechanics to achieve various states. A qubit can hold a one and zero simultaneously and expand to states beyond that. Qubits allow quantum computers to calculate in parallel, making them more powerful than today's fastest computers. But qubits can be fragile, and interference from matter or electromagnetic radiation can wreck a calculation. Researchers at Microsoft are working on an entirely new topological quantum computer, which uses exotic materials to limit errors. There are still questions about the viability of such materials and outcomes, so it could take a long time for Microsoft to make practical quantum circuits. Interest in quantum computing is growing as it becomes difficult to manufacture smaller chips to speed up PCs and servers. Neuromorphic chips and quantum circuits represent a way to move computing into the future. Microsoft's new hires include Leo Kouwenhoven, a professor at the Delft University of Technology in the Netherlands; Charles Marcus, a professor at the University of Copenhagen; Matthias Troyer, a professor at ETH Zurich; and David Reilly, a professor at the University of Sydney in Australia. All of them are retaining their professor titles.